Let’s face it: Eating right and meeting your macros everyday isn’t easy. Even the most professional fitness athlete among us sometimes struggle to meet their daily protein and nutritional intake from food alone. That’s why it’s smart to invest in a good micellar casein protein powder. Casein protein will help you maximize your time and effort in sculpting a stronger, leaner, healthier version of yourself. But with the sheer variety of brands to choose from – Optimum, MuslePharm, Muscletech, NOW foods, MRM, Universal Nutrition, Mutant, etc. – can make choosing the best casein protein powder a challenge. With hundreds of casein protein powders on the market making outrageous claims (think:”bigger muscles”)… the difficulty lies in understanding what micellar casein actually does, and then determining which one powder is worth your money. To find out, the onlinestrength.com research team delved deep into the science of casein protein and researched the ingredients found within these products to find out which one is the absolute best choice to buy regardless of how good a companies marketing tactics are. We looked into the advice of the top fitness doctors (like Dr. Jym Stoppani), scoured user reviews on all major fitness websites, read hundreds of research articles, & interviewed 6 holistic health practitioners. We payed very close attention to award winning supplements on “best of” lists. After hundreds of hours of research, the conclusion was made that there isn’t no single best formulation for the masses, but in terms of brands, the top pick is Optimum Nutrition 100% Casein Protein. This brand has a very strong reputation and widespread availability. The company has been in the sports nutrition industry since 1986 with distribution in over 70 countries. You can learn more here: Top 10 Best Casein Protein Powders. Optimum follows very strict quality control standards known as Good Manufacturing Practices (GMPs) which is very important if you want a healthy, safe protein powder. The one thing that’s most prevalent when searching for a casein protein powder online is the vast amount of brands claiming that they have the best supplement. There’s an overwhelming selection, and typically, most casein protein powders have almost exactly the same benefits, ingredients, and price. Looking at user reviews isn’t the most reliable source either since the every human body is highly individualized. A product may be a good choice for one person, but then someone may also have a horrible experience. We spent over 66 hours going through thousands of the online reviews and rankings to find which brand customers were most satisfied with. We interviewed 6 health practitioners and asked them their opinions. Choosing a casein protein powder supplement is no easy decision: you’re picking something that you are going to be putting into your body. After all.. its the vessel you are trying to transform into a stronger version of itself. To that end, we placed a high priority on where the raw materials come from to produce the casein protein powder as well as the facility of which they’re produced at. Truth be told, it wasn’t an easy task, going through every company and trying to find this information was rather difficult, not every brand is as transparent as we would of liked them to be. In a survey with over 2000 athletes aged 18-36, most athletes typically stick with one single brand when purchasing supplements and very few actually try different products from different companies. Much of that is due too the monopoly the supplement industry has over its products. However, due to the mass adoption of the internet, smaller, and sometimes higher quality companies can find their way in a an already saturated niche, making it simpler to switch to an obviously higher quality product without the fear of disliking or having a bad experience with a new supplement. It should be noted that many small supplement brands are making their way into the market that have excellent quality casein protein products and high satisfaction rate with its small amount of customers. We decided it was best to focus on companies/brands that were able to provide products on world-wide level since its much more difficult to get accepted into many countries with a bad product. However, we encourage you take a second look at lesser-known brands that may be operating closer to home. Casein makes up 80% of the protein found in milk; whey makes up the other 20%. Unlike whey, which is soluble, making it more readily digestible and absorbed, casein forms tiny micelles. Casein protein is insoluable meaning when its mixed into liquid (water,milk,etc) it starts to form into tiny globules which when supplemented actually forms a clot in the stomach. This means that your stomach will have to work to digest it unlike whey protein where its broken down straight away. This is why supplementing casein protein is considered crucial if you’re looking to build a nice looking body. Casein sometimes takes up to 7 hours to fully digest and absorb giving your body and muscles fuel and nutrition for great lengths of time. This can prevent muscle breakdown during periods of which food is unavailable (like when you’re sleeping). Casein is just as good as whey protein when it comes to stimulating muscle protein synthesis (muscle growth) and should be supplemented along side whey protein for best results. Aside from just being a slower digesting protein, casein has the highest concentration of the amino acid glutamine which is known for a multitude of beneficial health effects. Milk Protein, Protein (Casein), Micellar Casein, caseinate (calcium caseinate, potassium caseinate, sodium caseinate), casein protein hydrolysate. When casein protein powder is consumed after workouts along side whey protein, studies show that this combination will prolong the anabolic window. This will supply your muscles and body with nutrition for several hours. Casein protein is best utilized after workouts (mixed with a whey protein), between meals and before bed. 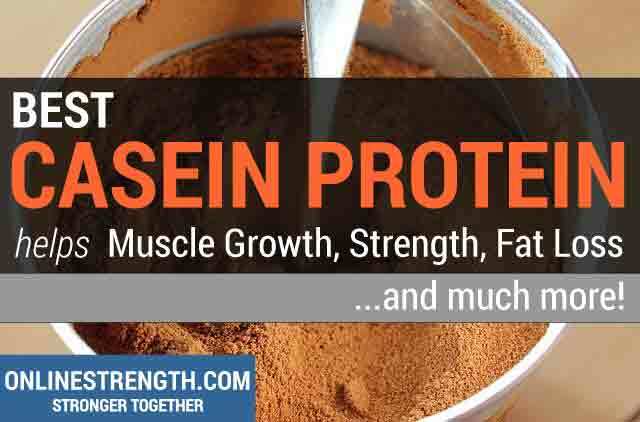 Across all fitness related websites, forums, and magazines, there seems to be a consensus that Optimum Nutrition 100% Casein Protein is worthy of its reputation as the most popular casein protein brand. Optimum Nutrition follows very strict guidelines to ensure their products are always of the highest quality. This is the most important feature that athletes look for. No one wants to be supplementing bad protein powder! All the raw materials that Optimum uses for their casein protein comes from their vendors adhere to strict guidelines and must provide a Certificate of Analysis. Optimum Nutrition also has a Hazard Analysis Critical Control Point Program implemented to further diminish any chance of physical, chemical, and microbiological contaminants. Their brand has the most loyal customers in the fitness industry and they fully back any of their products. You can be confident that what you’re putting in your body is of the highest quality. Ever since I started supplementing casein protein I started to gain more muscle, lose nasty belly fat and notice an immense amount of benefits in my overall health. Optimum Nutrition 100% Casein Protein has the highest satisfaction rate with customers when it comes to taste and mix-ability. These two key features are rather important when it comes to finding the best casein protein. If you get this wrong it will leave you high and dry, trust us, after reading through hundreds of product reviews, a bad tasting product will end up in the trash. Customers who are unsatisfied with how their protein tastes tend to stop supplementation all together and keep the product in their closest where it remains for the rest of its life. Another key feature that we looked for in casein protein powders was how well the product mixed up in any liquid, whether it be milk or water. If you end up purchasing a casein protein that was very thick and ‘sludgy’ after mixing it, we noticed that more often than not customers would never finish the first serving since its difficult to drink. With Optimum Nutrition 100% Casein Protein we found that nearly 87% of all customers across hundreds of reviews were very pleased with how the product tasted and mixed. Getting this right is by far the best way to ensure proper daily supplementation. Another critical differentiator that Optimum Nutrition had over many of the competitors was how well the brand was liked and adored by customers. The brand endorses 33 male athletes and over 36 female athletes, one of the biggest contributors to helping the world grow healthier and stronger than any other sports nutrition brand. On the surface it may seem like it shouldn’t matter whether a company endorses athletes or not. But these athletes are hand picked because of their hard work and dedication they put into their health and physique, and in return they help promote better understanding of supplements for everyone. Having key mentors in a world full of misinformation is crucial for anyone wanting to get the best shape of their lives. Besides that, its one of the few companies to have this amount of fitness athletes on their team. The product comes in 11 different flavors, all of which are slightly above average when it comes to customer satisfaction, giving you as the customer to choose based on your desired preferred taste and not just limiting you to chocolate or vanilla. You can choose between a 2 pound container that contains 27 servings or a 4 pound container that contains 55 servings. Going with the larger serving size will give you the option to not have to reorder often, the shelf life of casein protein is on average up to a whole year. Each serving contains 24 grams of slow digesting micellar casein protein, over 5 grams of branch chain amino acids (helps promote protein muscle synthesis) and nearly 5 grams of glutamine. Every serving 120 calories and made up of 24 grams of protein, 1 gram of fat, and 3 grams of carbohydrates. Optimum Nutrition is the brand most recommended by athletes. Customers on Amazon have a positive opinion, almost every Optimum Nutrition 100% Casein Protein review has at least four out of five star ratings. What’s more, this casein protein powder has the highest rated reviews on all of the websites that sell supplements online across the board. This casein powder is everything. Optimum Nutrition 100% Casein Protein comes in 11 different flavors catering to all types of consumers. We recommend you go with chocolate supreme if you’re a first time buyer. Research shows that adding casein protein into your diet prolongs the anabolic window resulting in more muscle building, more fat loss, and an increase in muscle repair. Casein protein provides a slow and steady supply of nutrients and aminos to your muscles for as long as seven hours. An article found onhealth.usnews.com states that loading up on 20 grams of casein protein led to a lower food intake 30 minutes later. We would like to mention that hardgainers or those who have trouble gaining weight and mass would greatly benefit from casein protein powder shakes. Drinking one in the morning and one at night at a minimum is a great way to add in extra calories and give your fast metabolism something to feed on. Typically hardgainers just aren’t eating enough, tracking macros is a good way to find out exactly how many more calories you need in order to grow. Casein protein is best for those looking to improve the way they look and feel. If you’re meeting your everyday nutritional intake that your body needs to lose weight and build muscle or simply place higher priority on just eating raw food, Optimum Nutrition 100% Casein is not for you. However, the benefit of casein is that it digests slower in your stomach giving the enzymes something to feed on for hours. Which can help you regardless if you need more protein or not. Casein protein powder may cause some unwanted side-effects in a few users. Since casein protein does come from milk, most people are lactose intolerant. If you are lactose intolerant DO NOT DRINK DIARY PROTEIN PROTEIN SHAKES. No reason to supplement casein if you’re allergic! If this is the case we recommend you stay away from powders derived from milk and go to plant based protein powders like a pea protein powder. Check out Warrior Blend by Sun Warrior. 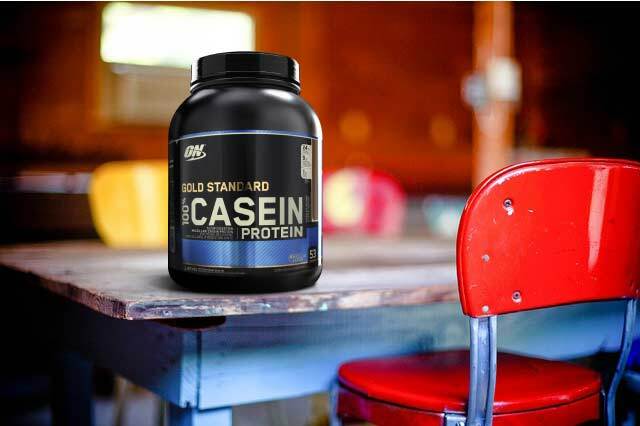 Research shows that Optimum Nutrition 100% Casein Protein can enhance muscle growth after workouts. Research also shows that when casein protein is combined with whey protein right after a workout athletes gained more muscle mass than those who did not take casein protein post-workout. So taking casein protein right after your workout combined with whey protein is the most effective and optimal for increase muscle growth. 20 grams of whey and 20 grams of casein is a good ratio to go with if you’re going to do this method. Casein protein, particularly micellar (which is what optimum has), is digested and absorbed at a slow and steady rate. That being that said, research has shown that drinking it prior to going to sleep will give your muscles something to feed on while you sleep, decreasing muscle protein breakdown. If you have a higher muscle protein synthesis than you do muscle protein breakdown, you will start building muscle, a perfect over-night supplement. In other words, its a very popular supplement to take at night. Casein protein will digest slower, keeping you fuller for a longer period of time. This may come in handy when your meals are far apart. Since most of us have day jobs, taking a serving first thing in the morning will help keep you feeling full. Optimum Nutrition 100% Casein Protein will supply your muscles with aminos (energy) for up to 7 hours, giving your muscles the optimal fuel they need to grow. Optimum Nutrition 100% Casein Protein earned the top spot mainly because it had the highest satisfaction rate among customers and the strong reputation the brand has. In the process of finding the best casein protein, we reviewed a few dozen casein protein brands. While these weren’t crowned king, they shouldn’t be rejected for be sub-par and should still be up for consideration. Some casein proteins had draw backs like the availability of the product, sometimes a product was only available to a few places. Others were missing the taste and mix-ability. A few were just outrageously priced making them completely un-affordable. We understand that Optimum Nutrition’s casein protein is not for everyone, which is why we have listed several great alternatives below. Optimum Nutrition Platinum Tri-Celle Casein – It’s lacks some mix-ability and comes out a bit chunky when mixed. The taste also isn’t the most enjoyable and seems to be hard to swallow at times. However it does offer a few things our best choice doesn’t have. Its formulaed to be up to 3x as slower digesting than our top pick. It may be a good option if you’re really having trouble packing on weight or issues with appetite control. Most users give up on supplementation after noticing the pudding like texture after being mixed with water. SAN Casein Fusion – A good percentage of reviews and forum posts we looked over suggested SAN Casein Fusion is their favorite casein protein, and it made an appearance in a lot of blog posts about being a good alternative to optimum nutrition products. The effectiveness is there, the reviews say the taste is on point, and it has the mix-ability. SAN Casein Fusion is a good altnerative if you’re looking for something that may taste a bit better than our best pick or if you had a bad experience with optimum in the past. Dymatize Nutrition Elite Casein – Known for being another really big company in the sports nutrition industry, this casein protein was another top pick among st fitness enthusiasts. Except for the limited user reviews when compared to optimum, this casein protein is raved about for its taste and mix-ability. Users are very happy with this choice as their go-to casein protein powder. However, the flavors are limited and the price may be a little more than optimum. That being said, the Cinnamon Bun flavor is rated the highest out of all the casein protein powders we reviewed and surprisingly a majority of users thoroughly enjoyed the taste. Naked Casein – This casein protein is free of any food colors, and artificial flavorings, Soy Free, Gluten Free, GMO Free, and Growth Hormone Free. If you can stomach and take down pudding like texture this may be the best option for the most health conscious person. There is no flavoring so you are left with just a pudding like texture that may be difficult to stomach for most. However, consumer reviews appreciate that they are just buying 100% Micellar Casein. Users found that using a blender is best and mixing it with some fruit is a good way to compensate for the flavor. A great alternative if you’re worried about what you put in your body. Six Star Pro Nutrition Elite Series Casein – For a budget-friendly powder, this isn’t a bad pick. Although our researched does point us in the direction of investing in a more quality protein and many fitness professionals agree. Spending a little more cash upfront to avoid any issues in the long run is going to be worth it and for that reason its difficult to recommend a cheap casein protein. Choosing the right casein protein powder simply comes down to your own goals, needs, and preferences. Not all casein proteins are created equal, and every company makes them in a different way, so there are a few variables you will want to consider before you just purchase your own casein protein to add into your lifestyle. Do I Even Need A Casein Protein Supplement? Supplements are tools to help you build a stronger, faster, better physique. However, supplements will never replace hard work and good nutrition. That being said casein protein is one of those supplements you want to invest some cash into. The truth is, it depends on how your diet looks and how much protein you are truly taking in every single day. You should supplement casein protein if you are not meeting your daily protein intake required to make your muscles grow. If your dietary protein is adequately reached, then supplementing casein protein is not required. Trading in a few pieces of chicken for a serving of casein protein post-workout along side whey protein seems to be the best option currently to maximize your growth potential. Its a known fact that muscle is made from protein and to build more muscle and burn more fat you need to boost muscle protein synthesis. This will trigger your body to burn the fat, and build the muscle. So having a proper diet that follows the protein rule of 1 to 1.5 grams of protein per pound of body weight is crucial if you want to see any progression at all. Without protein you are not going to be building any muscle or making any physique changes. Those who are training in a bodybuilding type fashion are going to need even more sometimes 2-3 grams per body weight. Doctor Jim Stoppani and fitness athlete Steve Cook both agree that casein protein powder is one of those supplements shown to have a major impact in the overall progression of their physiques. Studies have shown that casein protein powder helps keep muscle protein synthesis spiked for a longer period of time, allowing for optimal muscle growth and recovery over a period lasting up to 7-8 hours. We say go for it. If you are looking for the best supplements to help you build a better body than taking casein protein is one of those supplements you are going to want to take. Now lets get you caught up on what casein protein powder supplements are made out of! Studies now suggest taking casein protein powder along side whey protein powder if you’re looking to fully maximize your efforts– Jim Stoppani, PhD in exercise physiology. Well lets clear this up, whey and casein protein are the two proteins that blend together to make milk protein. Casein is the insoluble portion of the milk, whereas whey is the soluble portion; the amount of casein in standard Milk Protein is approximately 80%, the other 20% is whey protein. During the milk making process, which usually involves pasteurizing (high amounts of heat) The casein in milk protein starts to form into a gel like substance and floats to the top and whey protein stays in liquid form and floats to the bottom. The casein gel is taken and dried and worked into a powder form where then its transformed into casein protein powder supplements. When mixed with a liquid the gel like structure returns and is touted to be slowly absorbed because of how slowly it gets digested. This gives your body something to feed on for a longer period of time decreasing protein muscle breakdown. Side Effects Of Casein Protein Supplementation? The side-effects of casein protein is hard to say. Most people are lactose intolerant resulting in unwanted side-effects like acne and digestive track issues (diarrhea, upset stomach). Casein is a complete protein so it is one of the few ways to really increase protein intake without needing to eat more whole foods. However, if you seem to have a bad reaction to casein, or know that you are lactose intolerant, we recommended you go with a plant based protein powder. Casein protein powder should be used as a tool to help meet nutritional needs along side whole foods. We would advise you seek medical advise before trying any new supplements, including whey and casein protein powders. Ingredients In Casein Protein Supplements? Aside from Micellar Casein, there are a few other ingredients typically found in and make up casein powder supplements. BCAAs (Branch Chain Amino Acids) – This amino acid is made up of three three amino acids with similar structures that beneficially influence the muscles, or help promote muscle growth. The three aminos are Leucine, Isoleucine and Valine. Bcaas are naturally found in foods contain protein, such as milk, eggs, or meat. Leucine – Leucine is an activator of the protein known as mTOR, which then induces muscle protein synthesis. This is the main amino that helps kick start muscle growth, can be supplemented separately but taken as a whole supplement known as BCAAs. Isoleucine – Promotes glucose consumption and uptake and has anti-catabolic properties. Valine – In isolation valine has no unique effect, but is the third amino in the chain to form branch chain amino acids. Glutamine – Very effective intestinal and immune system health compound. Helps to calm the stomach to ensure casein protein doesn’t cause any upset stomach issues. Lets break down the things you should really pay close attention too before you purchase a casein protein supplement. These are the key features that most consumers are looking for before they buy and they may help you out as well. These are the three main factors to consider when it comes to making a final decision. Does it taste good? If it doesn’t odds are you will not even use it. According to the user reviews we looked at most people stop supplementation if its too hard to drink. Make sure it tastes good, no matter how healthy it may be, casein protein is going to clump up, if that alone doesn’t make you gag, something that tastes awful is not going to be doing you any favors. Generally, the mix-ability is going to be a hit or miss. Since in the natural form casein protein generally doesn’t mix very well and likes to form clumps, its going to be difficult to avoid the clumping. 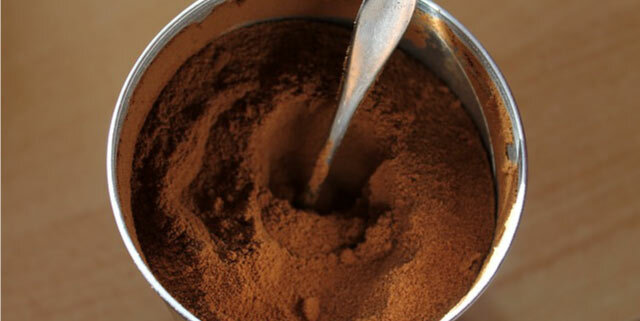 Even after blending it, it will start to form a pudding like texture. Looking over user reviews, the one we suggested is fairly easy to mix with minimal clumping. These three factors will help with overall supplementation which will result in much better results. If you’re not drinking it, you’re not going to get any benefits! The container you choose will dictate how much product you have. Make sure to pay close attention to how many servings you are actually buying, a 2 pound container may only contain a a few weeks worth of supplementation. If you looking to use casein protein for several months you are going to need to find a product that has enough servings to satisfy your needs. The saying “You get what you pay for” certainly applies to casein protein powders. The price of the supplement usually will dictate its quality. The price of casein proteins seem to range from $20 – $90 depending on the serving sizes. The lower the price of the product we have noticed usually has more negative reviews and unhappy customers. With a higher price tag you are usually buying a better brand and better quality product. This one is rather important. Regardless of your stance on what is healthy and what is not, we suggest that you look into where the company gets it raw ingredients and how the facility is maintained in which the powder is produced. Our top choice has very strict guidelines when it comes to its raw materials and machine care. Make sure you do your research before you put something in your body. What Makes A Good Casein Protein Powder? This is a tough question and isn’t necessarily going to be the same for everyone, but there are a few qualities you want to ensure you have a pleasant experience. After all casein protein isn’t the most enjoyable supplement to take. If you want to ensure that you’ll be satisfied with your purchase we have outlined the most important things to keep on eye out for. Flavor and Taste – If it doesn’t taste good you’re going to have a hard time using the entire product. Mix-ability – If its poor quality the mix-ability is going to be a nightmare. Raw Materials – A company that uses the highest quality ingredients is the best choice. Facility – The place where the supplement is produced is super important to us, and it should be something you look into as well. Brand – It’s important that the brand has a strong reputation for bringing a quality experience to its users. Dymatize Nutrition Elite Casein has one of the most raved about casein flavors called ‘Cinnamon Bun’ is hands down the most raved about casein powder supplement in regards to how well the product tastes. In all the forums and reviews we looked through this product was rated the best tasting casein powder flavor. SAN Casein Fusion is among the best rated casein protein for the ease of which is mixes in water and or milk. The flavor of this product is also right next to Dymatize and should suit anyone who wants a powder that both tastes and mixes well. Naked Casein offers a 100% michellar casein protein that does not user any artificially flavoring or sweeteners. The only ingredient used to make this supplement is 100% micellar casein. The powder is soy free, gluten free, gmo free, and growth hormone free, perfect for the health conscious athlete. It should be noted that since this is just a pure form of casein, the flavor is not very enjoyable. The price of this casein is also on the higher end but the quality you’re paying for is top-tier. Optimum Nutrition Platinum Tri-Celle Casein Is casein formulated to be a even slower digesting casein protein, more-so than the 100% gold standard casein. A slower digesting casein protein powder like this will provide a slow and steady supply of aminos to keep protein synthesis extended for a longer period of time and help to decrease muscle protein breakdown. This casein is especially useful for those who are looking to bulk and don’t have the time through the day to eat several meals. Taking this will help keep your muscles happy and your belly full while you wait for your next meal. Optimum Nutrition 100% Casein Protein is the top choice for overall casein protein powder and will suit any female looking to supplement casein. The taste is very enjoyable and is very easy going on the stomach. A study found that women who take casein protein after workouts had improved weight loss, increased fat burning, and improved muscle growth as compared to women who did not take any protein supplements. Women looking to lose weight and trade in their fat for lean muscle should take 20gs of casein right before bed. Supplements can get expensive, purchasing only the most effective ones will help bring you closer to your ideal physique and help you on your journey to becoming the strongest version of yourself. Adding a casein protein powder supplement into your arsenal is worth the investment and will support you through every workout. Supplementing a casein protein powder is a simple and affordable way to ensure you’re reaching your required protein intake in order for your muscles to grow and to ensure you’re getting the results you want in a timely efficient manner. Choosing the right casein protein powder doesn’t have to be complicated. Just stick with a reputable brand and choose the right flavor of powder you’re going to like in order to stick with the supplementation. We recommend Optimum Nutrition 100% Casein Protein, but if you have feedback on which casein you’re currently taking, let us know, we would love to hear from you.